I hope that you have had a fantastic Christmas or whatever holiday you celebrate, if any. I offer to you my deepest apologies for not having posted on Christmas. I was in the car driving from Pennsylvania to Arizona. Spending the 24th, 25th and 26th of December in the car could have been a horrible fate to suffer, but my dear friends, I found a way out of the doom. First, my mother made me a bag of Christmas goodies to be opened in stages. That combined with the antlers and glowing noses my sister gave us had the effect of making us look slightly more insane as the hours passed. 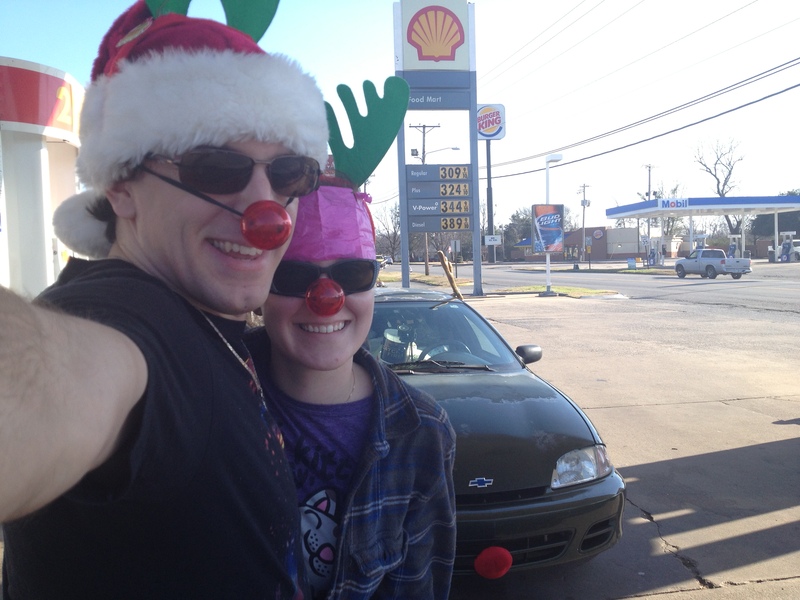 When I locked the keys in the car in Arkansas, I was wearing a paper hat, and my husband was wearing a Santa hat. We were the happiest looking people to be stuck on the wrong side of their car doors on Christmas. Our car Pam ran very well! And she kept her antlers and glowing nose for the whole ride! Well, an antler did fly away when I rolled the window down to throw out an apple. We circled back on the highway to get it… I was crying, so my husband had to. 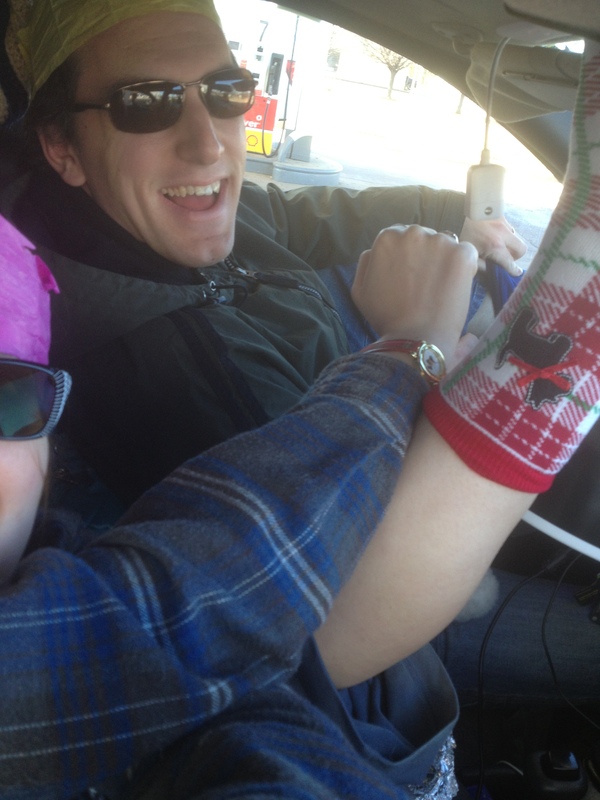 He almost lost an antler at a toll plaza, but with reflexes built from his quidditch training, he caught the antler as it flew through the air outside the car. I married a ninja. But we made it to Arizona and have begun our next adventure. So happy almost New Year to you all, and have a wonderful weekend! P.S. – I am almost done with the line edits on The Tethering! You should go to my author blog at meganorussell.com to read all about it. It’s a young adult fantasy novel, and soon I’ll have cover art and everything!